I contained one of my collaborators in a cage. Created with ocannoli and the 60-212F18 TA. 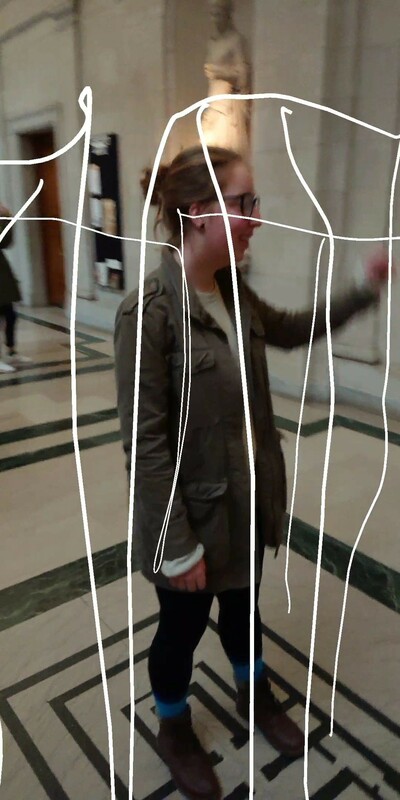 The piece can be experienced in two ways: 1) one or more things or people stand within the bounds of the cage and the viewer moves around it, or 2) the viewer stands within the cage.